Condominium fees are considered ordinary business expenses on rental units, deductible to the owner. 1. What Can You Deduct on Your Taxes as a Homeowner With Rental Income? 2. Can HOA Fees Be Used as a Tax Deduction for a Second Home? Generally, fees and expenses incurred as part of owning rental property are tax deductible. If you don't live in the property but routinely rent out the condo, the Internal Revenue Service normally treats condo fees, association fees and other mandatory expenses as ordinary business expenses. However, if you don't own the property, but you are renting it from someone else and living in it, the condo fee is considered a personal expense, and is generally taxable. For business enterprises, including real estate, the IRS generally taxes income net of expenses, rather than gross income. This means that you add up all your revenues and then deduct business expenses from the revenues to arrive at your taxable business income for the year. Condominium fees are expenses, just as maintenance and repair expenses, advertising, promotion and property management fees are expenses. These expenses you incur in the course of running a business — including the business of owning rental real estate — are subtracted from your revenues. The IRS taxes you only on the difference between revenues and expenses, so the more deductions you can take, the lower your tax bill will be, all other things being equal. Owners of rental condominiums can also deduct property taxes and fees paid to the association for maintenance and repairs of common areas, as well as attorney fees paid for the purpose of generating income. Other available deductions include loan interest, insurance expenses, primary mortgage insurance expenses, property inspection fees, maid service provided for the benefit of the tenant, charges associated with garages and storage areas that are provided for the benefit of the tenant, and closing costs. Note that significant renovations and upgrades, however, are not fully tax-deductible in the year the expense is incurred. Any renovations you make to improve the value of the condo must be capitalized, with deductions for the cost of the renovation or upgrade spread over a number of years. Personal expenses are generally not deductible. 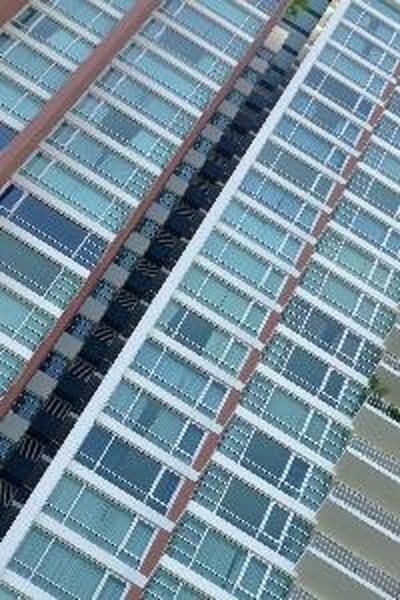 So if you are renting the condominium from someone else, you cannot itemize the condo fee that you pay and claim a tax deduction, nor can you claim a deduction for depreciation. Indeed, any expenses you incur in renting the property are considered personal expenditures — except to the extent you use the condo for business. If you operate a business out of your rented condo, you may be able to take a deduction for the business use of your home — also known as the "home office deduction." Generally, you claim expenses related to rental property on Schedule E and attach it to your individual income tax return. However, if you own the condo via a corporation, then you would fill out an IRS Form 1162 or 1162 S, which are tax returns for C corporations and S corporations, respectively. Can Cable for a Business Rental House Be Deducted From My Taxes? Can I Deduct Investment Property Expenses on Taxes?